The January Paris attack against French magazine, Charlie Hebdo, the ISIS revolution, and the increased threat of foreign terrorist fighters (FTFs) question whether the Visa Waiver Program (VWP) threatens U.S. national security. Many U.S. lawmakers demand changes to the current rules to control the entry of foreigners into the U.S. without visas, relying on the fear that terrorists may take advantage of the program to carry out future attacks within U.S. borders. The VWP is a program of the U.S. Government administered by the Department of Homeland Security (DHS) in the mid-1980s that enables U.S. citizens or nationals of designated countries to travel to the U.S. for tourism or business up to ninety days without obtaining a visa. Thirty-eight countries currently participate in the VWP, including the United Kingdom, Holland, Germany, and Canada. The program allows up to nineteen million visitors to pass through U.S and the only thing a VWP traveler needs to do before traveling to the U.S. by air or sea is fill out an Electronic System for Travel Authorization form (ESTA) online. The form only costs fourteen dollars and automatically presumes that the applicant’s statements about prior visa denials and legal infractions are true. When traveling via the VWP, travelers pass through ports of entry with screening. The only barrier to U.S. entrance is a Customs and Border Protection (CBP) officer at the port of entry, who stamps the passport with or without minimal questioning and with no means of verification. The program was conceived in a time when citizens of “traditional European allies were not viewed as threats.” However the program took a turn after the September 11th attacks when convicted September 11th plotter and French national, Zacarias Moussaoui, boarded a flight to the U.S. via the VWP. Similarly, British national Richard Reid (the “shoe bomber”) evaded security checks that would otherwise have been performed for non-VWP travelers. Perpetrators of the 1993 World Trade Center attacks Ahmed Ajaj and Ramzi Yousef also entered the U.S. through the VWP using photo-substituted Swedish and British passports. The Charlie Hedbo shootings that killed seventeen people in France and the surge of foreign fighters from Europe traveling to Syria to join the surging Islamic State group have prompted bipartisan legislative efforts by U.S. politicians who call for changes to the VWP. Senator Feinstein, a leading Senate voice on national security, plans to introduce legislation that would help strengthen the VWP’s security. While her office did not provide any details of the proposed plan, she commented on the threat of sleeper cells posed by the current state of the VWP, stating, “[terrorists] can come back from training, they go through a visa waiver country and they come into this country … we have a big problem here.” Representative Michael McCaul, Chairman of the House Homeland Security Committee, voiced similar concerns and recently co-sponsored legislation that would require DHS to consider additional steps to screen travelers more thoroughly. The Homeland Security Committee is also investigating the VWP as a part of a “broad probe” into whether the Obama Administration has done enough to stem the flow of foreign fighters returning back to their European homes from Syria, and then potentially travel to the U.S. without a visa and carry out attacks here. Some are even in favor of abolishing or suspending the program entirely. In September, Hawaii and Pennsylvania, introduced bills that would suspend the VWP for countries who nationals have joined or been trained by the Islamic State. The main concern the U.S. faces, as addressed by Law Professor Nathan A. Sales, is the “profound and growing threat from radicalized Europeans.” There is an ever-increasing fear that extremists who have received training in Iraq and/or Syria and since returned back to Europe may eventually try slipping into the U.S. undetected through the VWP. Reports estimate that at least 3,000 of the Islamic State’s fighters come from Europe, with an estimated 1,000 from France. However, suspending or abolishing the program is not an option even with these statistics. U.S. authorities and the aviation industry worry that discarding the VWP would be problematic as it plays an important role in economic growth and “represents an important element of lawful commerce” between the U.S. and its international partners. According to studies, in 2013 there were over seventy million tourists in the U.S. who added about $181 billion to the U.S. economy, spending around $4,500 per day while traveling in the U.S. Suspending or abolishing the VWP would also discourage tourism almost entirely. 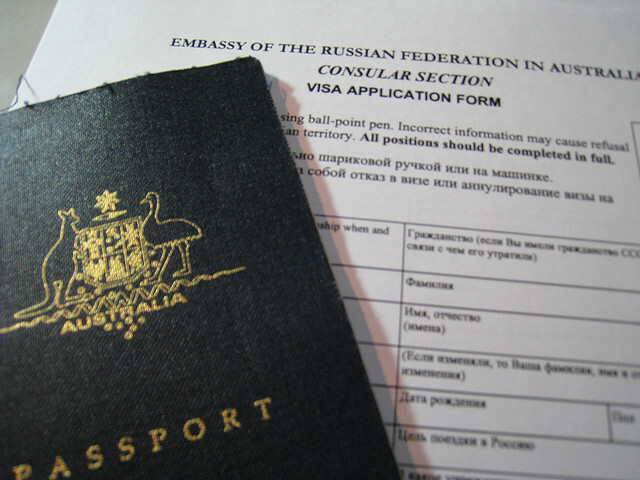 Obtaining a visa is often very difficult and expensive. To obtain a visa, a traveler would have to visit a U.S. consular office, fill out lengthy documents and have a personal interview, and then pay several fees on top of a $160 fee for each visitor visa. Moreover, the fees are non-refundable in the event the visa is denied. In other words, cancelling the VWP would do more damage to the U.S. than it would provide protection, some experts say. These existing intelligence and information sharing agreements should be fully implemented as originally intended. Additionally, there should be additional protocols that allow authorities to identify “unknown threats,” or travelers who have managed to escape watch lists. This would involve sharing airline reservation data or travelers who have traveled between VWP countries and “hot spots” such as Iraq and Syria. Law Professor Nathan Sales believed that the Charlie Hebdo gunman Said Kouachi could have been tracked down through this measure because Kouachi was known to have traveled from France to Yemen through Oman in 2011. The increased FTF threat also prompted action by the United Nations. In September 2014, the U.N. Security Council unanimously passed Resolution 2178, which requires member nations to, among other things, implement effective border controls and controls on issuance of identity papers and travel documents, implement thorough measures to prevent counterfeiting and forged identity and travel documents, require airlines to provide advance passenger information to appropriate national security authorities to detect FTF movements, and improve international cooperation and information sharing for purposes of identifying FTFs and their travel patterns. Stricter enforcement of the 2007 legislation along with the U.N. Resolution could make it possible to track the movements of known and potential threats. Increased information collection and sharing will allow member nations to recognize travel patterns consistent with those of FTFs. By tracking down these travelers and affording a little bit more scrutiny at the airports, there would be no need to abolish the VWP. The U.S. will avoid exposing itself to great economic harm and keep FTF threats out of its borders.